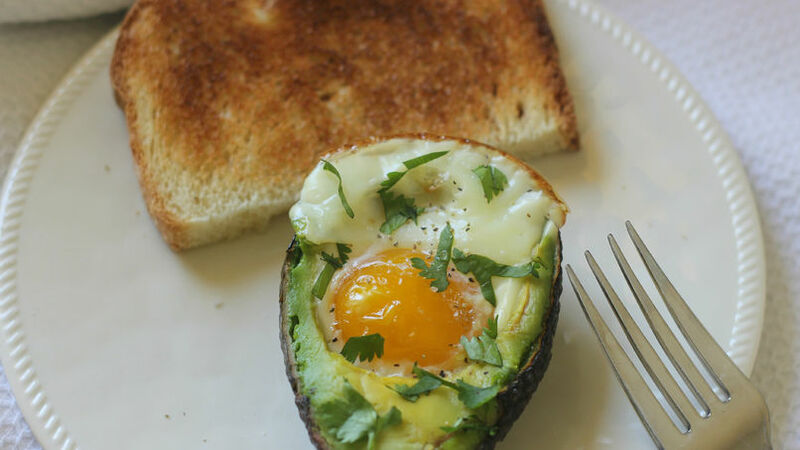 Use a spoon to hollow out the avocado just a little, enough to add the egg. Place the avocado in an oven-safe dish. Try to not move it around too much. Bake for 15 minutes, remove from oven and top with chopped cilantro. For a heartier version, add pieces of cooked bacon and serve with toast. These baked avocados with egg can be enjoyed any time of day. The first time I had them was for brunch and all the guests enjoyed them. Obviously, I had to ask the hostess for the recipe. I was surprised by the simplicity of the preparation, and how well they go with toast. You can also add ham or bacon for another layer of flavor. Have you tried them yet? Make it this weekend and surprise your family with this delicious recipe.